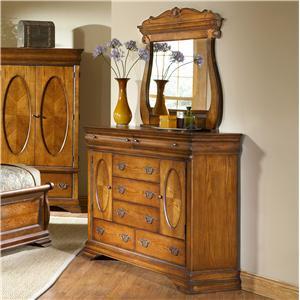 Touched by gentle curves from head to toe, this dresser and mirror combination will bring a delicate, elegant vibe to your bedroom environment. 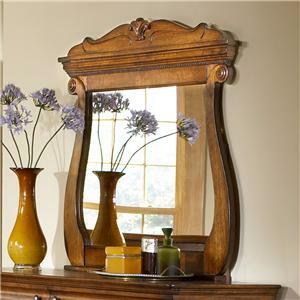 From the mirror's scrolled edges and scalloped crown, to the bureau's oval-panelled cabinet doors, this combination piece is soft and graceful all around. Finished in a unifying American Oak over smooth wood solids and veneers, this duo blends together effortlessly as the perfect match of function and style. 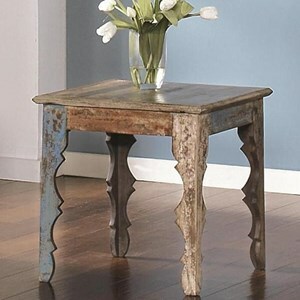 Add a touch of vintage charm to your home with this square end table. 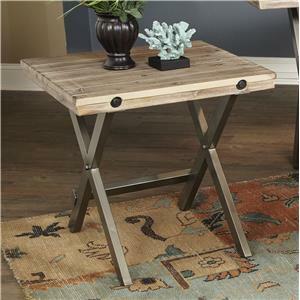 The piece is made from acacia solids and steel, and features a distressed finish that gives the table a reclaimed feel. Shaped legs reference more feminine silhouettes, for a look that exudes vintage rustic charm. 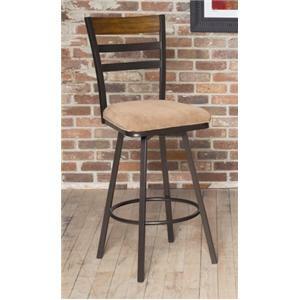 You'll have a handsome addition for your home decor with this bar stool. The piece carries a dimples wheat finish and features a lattice splat back as well as cabriole legs. Plus, the swivel upholstered fabric seat allows for easy mobility while also providing comfortable padding. 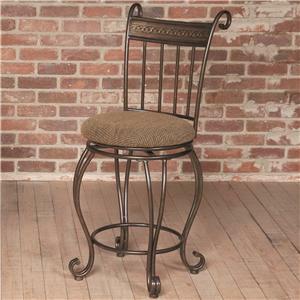 There will be a lot to like with this bar stool in your kitchen or dining room. 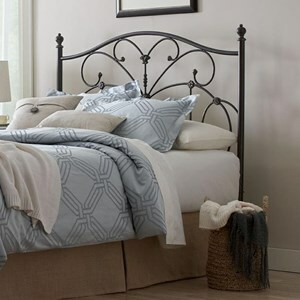 Fall into a sweet slumber with this soft and delicate low-profile bed. Accented with panel detail over its sleigh head and footboard, this bed brings a casual elegance to your nighttime environment. With the addition of tapered bracket feet, its platform-like frame is just slightly raised from the floor to create the standout feature of your bedroom. 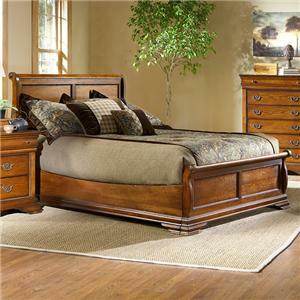 Crafted with smooth wood solids and veneers covered in warm American Oak finish, this bed is sure to make anyone feel at home. Add a warm look to your dining space with this comfortable upholstered side chair. Classic turned legs are finished in a beach color that accompanies a light beige color linen perfectly. 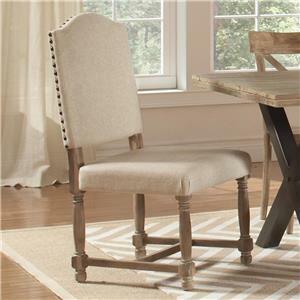 Adorned with nail head trim in a natural finish this chair is the perfect finishing touch to your dining arrangement. While corporate headquarters is based in Houston, Texas Largo also maintains two permanent showrooms located in High Point, North Carolina and Tupelo, Mississippi.